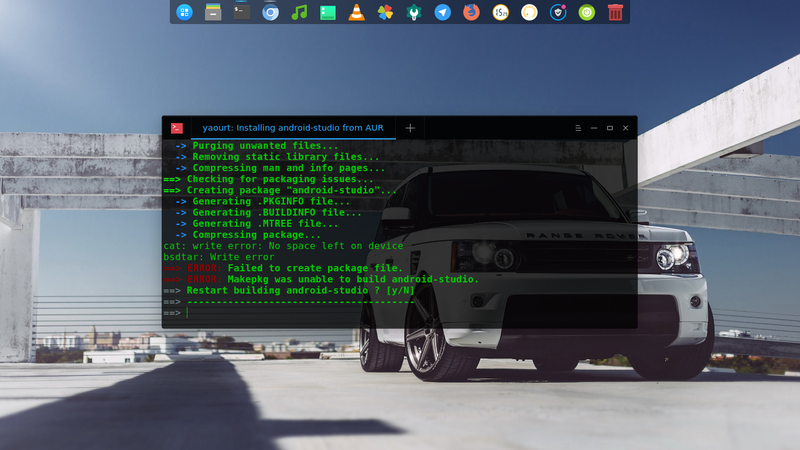 Makepkg was unable to build android-studio. The best way to install AS is to just download from the manufacturer’s site and unpack into your home folder. @piotr can you provide link? You can use the Configure -> Create Desktop Entry option here. This will allow you to install updates without running AS as root. There it is, no disk space left. It probably means your /tmp folder is too small.